Los Angeles Carpet Cleaning .us have become the most trusted name in providing cleaning and maintenance services in the Los Angeles area due to our proven track record of first class quality and impeccable customer service. Whether you require our services for house cleaning, office cleaning or even industry cleaning, you need look no further than Los Angeles Carpet Cleaning .us to provide you with the finest cleaning and maintenance in town-at honest, competitive prices. 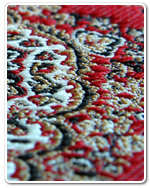 Los Angeles Carpet Cleaning .us is fully licensed, insured and bonded. We are capable of handling any domestic, industrial or corporate project. With time-tested expertise in providing top quality cleaning and maintenance services, we have become the industry leader in the Los Angeles area. Our technicians main dispatch point: 175 W 1st St, Los Angeles, CA 90012. Health and environment have become issues of concern in the new millennium. That's why at Los Angeles Carpet Cleaning .us we use biodegradable and non-toxic cleaning agents-safe for use in the proximity of children and pets. At Los Angeles Carpet Cleaning .us we appreciate your business and aim for your complete satisfaction. We promise you the best service in town. Call us 213-596-9756 for a free estimate for all your residential, commercial, and industrial cleaning needs.